Adopting NFV just got easier! Open source fans were celebrating last week. For those of you who may have missed it, The Linux Foundation announced the availability of the OPNFV Verification Program that will help make commercial Network Functions Virtualization (NFV) adoption a whole lot easier. We’ve certainly witnessed significant take-up of NFV in recent years, which is why overcoming interoperability challenges in the NFV ecosystem has become a top priority. NFV enables service providers to simplify their hardware inventories and introduce automation. It also enables true horizontalization, making it possible for different layers of the software stack to interoperate. Open source initiatives that can validate and verify NFV deployments are thus essential for accelerating deployments and for interoperability of NFV products and services. Developed by the Open Platform for NFV (OPNFV) Project, the OPNFV Verified Program (OVP) establishes an industry threshold based on OPNFV capabilities and test cases. The purpose of OVP is to verify NFV infrastructure through a predefined set of test cases using the Dovetail test suite. This allows platform vendors to test against a common set of requirements and guarantees NFV vendors that the functionality is available. Being OVP verified means that commercial products based on OPNFV are compliant by implementing explicitly defined interfaces, behaviours and key features. For service providers, this also means faster integration and lower vendor lock-in. Nokia has played a big role in getting the verification program off the ground.. When it started, most people agreed the verification program would be beneficial, but also challenging to envision and determine how verification should be done. That’s where the OPNFV plugfests have proved invaluable. Developers like myself joined forces with service providers and other vendors in three consecutive OPNFV plugfests. Nokia provided an open and scalable OCP based compute platform, part of the Nokia AirFrame data center solution, installed the latest OPNFV release and ran the latest Dovetail version on it. This allowed us to see how the verification could be implemented and how it could be improved. Getting the different versions of OPNFV installers to work as desired hasn’t been a picnic, and yes, there have been bugs to fix. 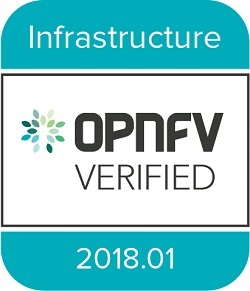 But the outstanding result, after providing the Nokia verification test results to the OPNFV verification website, is that Nokia is now among the first to receive the official OPNFV Verified mark. We’re now following up on this first version of the verification program by contributing even tougher test cases to raise the bar in OPNFV and extend verification to higher layers, making the open platform even more competitive. It’s time to make OPNFV verification the gold standard and a true sign of a telco grade platform! Watch the Open source – the best ideas are better for everyone webinar and find more cloud series webinars here. Is Network Function Optimization the new SDN/NFV? SDN and OpenFlow World Congress – surprisingly also a great NFV event!